Learn how to pickle chili peppers straight from the garden. It is very easy to do, and the peppers will last several weeks or months. It’s a great way to preserve your chili peppers. I’ve been asked many times about how to pickle chili peppers. It is actually a rather simple process and one of my favorite ways to preserve chili peppers. While there are a number of recipes you can use, this is one of my favorites for its ease of execution, and also for the resulting flavor. 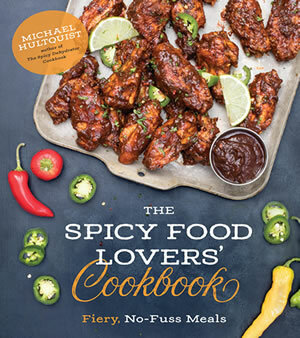 You’ll want the chili pepper flavor to shine, but you’re also free to experiment with additional flavorings that will compliment your pickling recipe. With pickling, there’s no need for a lot of fancy equipment, though, obviously, pickling peppers will change the taste of peppers more than pressure canning will. But there’s a reason why pickling is so popular – the flavor change is delicious. For the Ball Jars, I recommend these (affiliate link, my friends) – Ball Wide Mouth Pint 16-Ounce Glass Mason Jar with Lids and Bands, 12-Count. Wide mouth works best and they should be large enough to hold a good amount of peppers. First, always choose the freshest chili peppers. Discard any that have started to soften or are bruised or rotting. If the peppers you’re pickling are hot (which they probably are), it’s best to wear gloves while handling them, unless you want an up close and personal reason why pepper spray hurts. The traditional pickled pepper jar features both sweet and hot peppers, but this is your process – pick the peck of pickles you prefer. Always be sure to wash and dry your chili peppers before pickling them. Also wash your jars and lids before use. You should not boil your canning jar lids. Boiling the lids can damage the sealing compound which can cause jars not to seal or the seals to fail during storage. To prepare the lids, bring a small saucepan of water to a boil, remove from the heat, and add the lids. Cover and let stand for 10 minutes before using to soften the sealing compound. The lids should be kept in hot water until ready to use so the compound will be soft and conform to the top of the jar, creating a tight seal. Rings should not be boiled before use as this can promote rust. The rings should be simply washed and dried. Slice your chili peppers into rings so you can fit them into jars. If you would prefer to pickle the peppers whole, pierce them with a knife to allow the pickling liquid to seep through more easily. Next, add vinegar, sugar, salt, basil and bay leaves to a large pot. Bring to a boil. Reduce heat to simmer. Add chili peppers, then remove from heat. Allow to cool. Last, pour into quart containers and seal. Be sure the peppers are covered by the brine solution. Refrigerate. This is not an exhaustive list. Feel free to use whatever spices you’d like to flavor your pickled peppers. 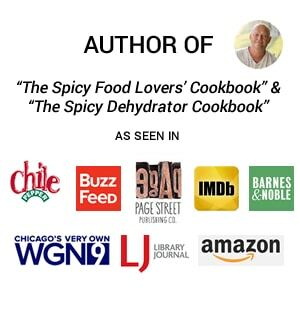 See this page for more info: Pickling Spice for Pickled Chili Peppers. Once your peppers are cleaned and prepared, fill your large pot with water and wait until it gets to a rolling boil. Put it on the stove top and fire up the heat to low. For the moment, leave the lid off. In the event that you are using a regular large pot in lieu of one that is specifically meant for canning, it’s fine if there is no rack for the cans, but it will make it easier if there is one, simply for handling purposes. You’re ready to can. Make more room on the stove top for your smaller saucepan. Here, combine the vinegar, water, canning/pickling salt, and sugar. Let the mixture simmer for 10 minutes. Fill your jars with peppers, but be sure to leave 1 inch between the top of the jar and the lid. This is called “head space,” and will allow the contents to expand during processing. Be sure to pack the jar as full as you can without infiltrating the head space. 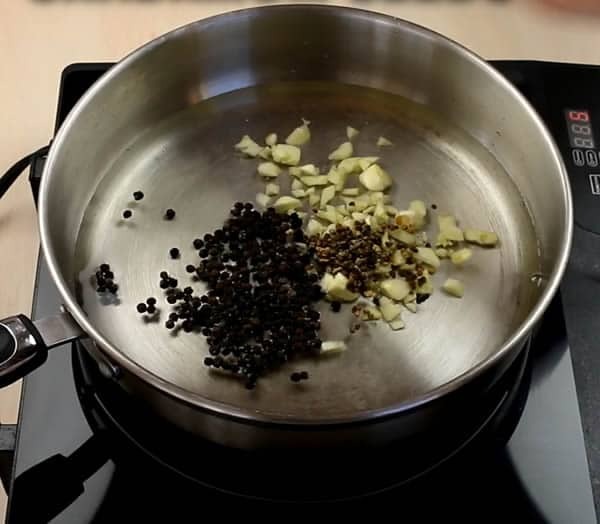 Once your jar is full of peppers, use a ladle and the funnel to fill your jar with the vinegar solution you created earlier. Be sure to leave ½ inch of space between the vinegar solution and the top of the jar. The pickling solution should always come to the top of the peppers in the jar, just covering them. For pickles, the USDA standard is ½ inch head space between the liquid and the top of the jar. If you leave too much head space, there will be too much air for a strong vacuum to form during the process, causing the jar to seal improperly or fail. When jars are full, place lids on jars and screw on – but not as tightly as you can. Make sure it’s snug, but you don’t have to power jerk the lids on. Arrange the jars in your canning pot – make sure there is at least 1 inch of space between each jar and its neighbor. Once jars are arranged, fill the canning pot using a ladle until the water reaches 1 inch over the tops of the jars. Use the boiling water in your other pot to fill the canning pot, but be careful not to pour boiling water on the tops of the jars. Pour the water between the jars until they are submerged. Once a rolling boil is reached within the canning pot, set a timer for 10 minutes, if your kitchen is 1,000 feet or fewer above sea level. For those 1,000 through 6,000 feet above, boil your peppers for 15 minutes, and if you are above 6,000 feet, boil for 20. Remove jars from the canner (using tongs: they’re hot) and allow to dry on a towel or cutting board. Make sure that they won’t be disturbed by sudden drafts or something bumping into them. After they cool, you can check the validity of the seal by pressing the top of the jar: if the top is sucked in, the jar is sealed. If it pops up and down, the jar is not sealed and you’ll need to start over (from the beginning: do NOT reprocess jars that were not sealed by initial canning. Remember, safe is much better than sorry). Congratulations! You now have pickled peppers. Note that the above recipe is a basic pickling recipe and that you can include many other spices to achieve new and tasty pickled pepper flavors. How Long Do Pickled Peppers Last? This will last you several weeks in the refrigerator or longer. I recommend letting them sit a week or 2 before eating so they can be properly pickled. Enjoy! This may seem like a lot of peppers, but if you have a decent sized garden like we do, you’ll achieve a yield like this regularly, so it is good to have a few different ways to preserve your chili peppers. You can also process your pickled peppers in sterilized jars to keep them for much longer, as described above. This way they will last many, many months if kept stored in a cool, dry place. 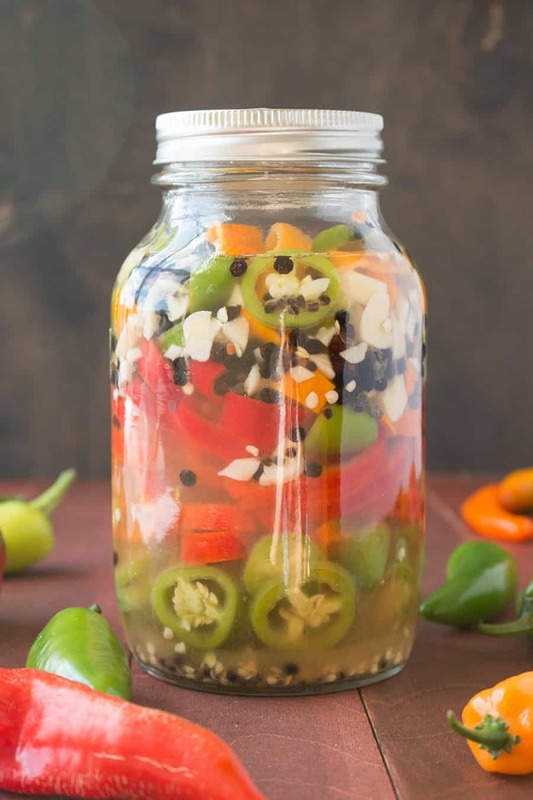 Check out this Refrigerator Pickled Pepper Recipe. The acidity level in your pickled peppers is important not only for taste and texture, but for safety as well. You should not alter vinegar, food, or water proportions in a pickling recipe or use vinegar with unknown acidity. There must be a minimum, uniform level of acid throughout the mixed product to prevent the growth of botulinum bacteria. 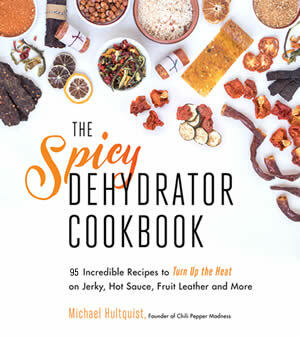 Processing your pickled chili peppers in a boiling water canner will prevent spoilage from microorganisms (particularly molds and yeasts) as well as enzymes that may affect color, flavor, and pepper texture. Standard canning jars and self-sealing lids are recommended. Store your pickled peppers in a cool, dry place. What Can I Do With My Pickled Peppers? Use pickled peppers to add some zip and zing to any number of foods. Add them as a topping for nachos and tacos, pizza, burgers and hot dogs, sandwiches, so much more! I enjoy them as a component to sandwiches. They add a nice crunch and spiciness. Try chopping them to make a quick relish. Swirl them into soups and stews for added flavor. These are all affiliate links, my friends. I earn a small commission from your clicks. FYI! If you enjoy this information, please share it on social media. Don’t forget to tag us at #ChiliPepperMadness. I’ll be sure to share! Thanks! 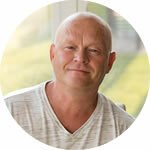 — Mike H.
I came across your site recently and it looks great, can’t wait to dig in deeper. One question on pickling peppers. I just pickled a batch for the first time and it worked out alright but the peppers are soft. Do you know how to make them more crisp? Thanks, Tim! A lot of it has to do with the heat. Sometimes the peppers can soften if you process them in a water bath for too long. Also, make sure you’re using enough peppers to really fill the jar. 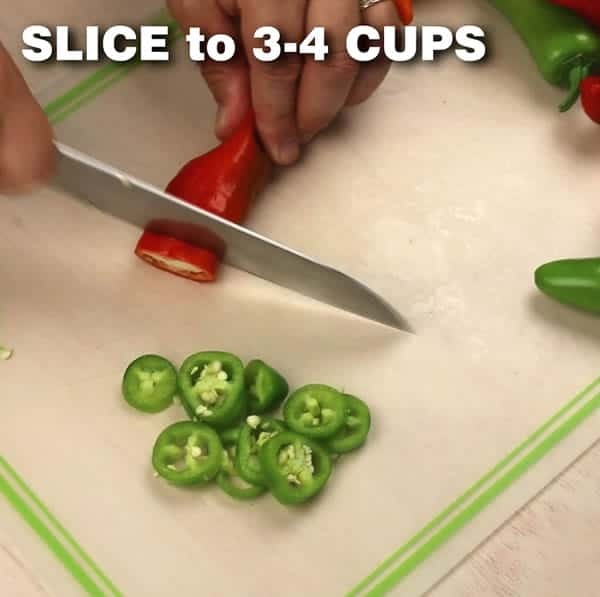 Try cutting the peppers into larger rings or pieces as well, or even leave them whole. There are some products out there, such as Pickle Crisp, which might help. Let me know if this helps. canning peppers for long term storage: what are the proportions of water, vinegar, sugar and pickling salt? Patricia, use the proportions I have listed in the recipe. If you’re concerned, check the ph with a reliable ph reader. You want 4.0 or below. Otherwise, use a pressure canner. I hope this helps. Can I reduce the sugar content? I don’t like a sweet taste in men pickled peppers. Kent, yes, the sugar is optional. Salt and vinegar are the only real requirements for pickling and preserving.